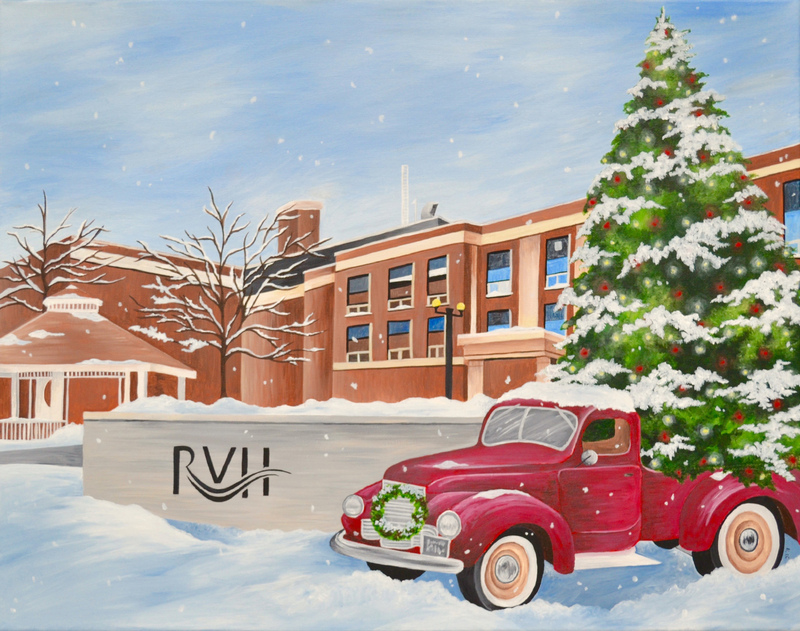 In keeping with a 28-year tradition, the Renfrew Victoria Hospital Foundation will launch the holiday season with its Tree of Lights celebration in downtown Renfrew on Friday, November 30. The event is a wonderful demonstration of the spirit of the season with the opportunity to honour a loved one while supporting the quality care we are so fortunate to have access to in our community. Over the years, she has donated in memory of her parents and grandparents, a friend’s nephew, and this year in honour of a young man recently killed in an excavator accident in Quebec. 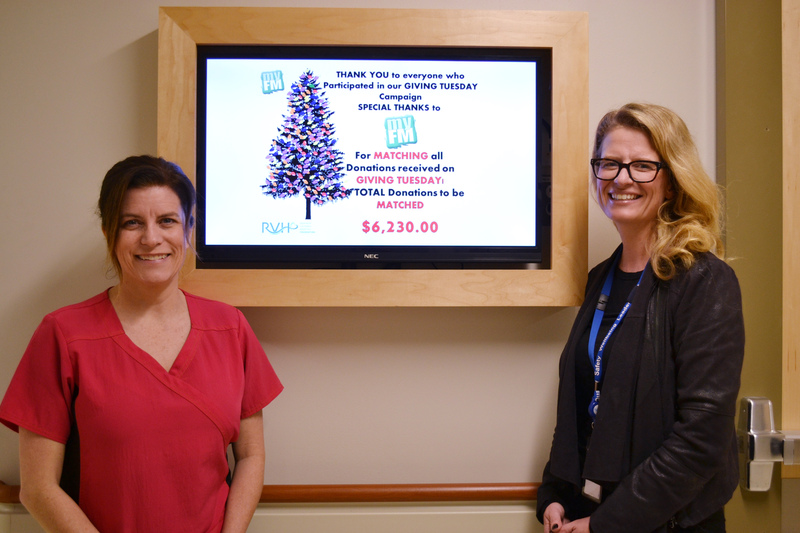 You can help create the bright and beautiful holiday tree in Low Square by purchasing a light in tribute or in memory of someone special and your gift will help patients who receive care at Renfrew Victoria Hospital. The glow of the holiday season is filled with magical moments and precious memories carried in our hearts. Let the spirit of Christmas shine by giving a gift of light. 1. Make a secure donation online. 4. Call Sarah Robinson at 613-432-4851 ext. 263 to arrange for one of our team members to pick up your donation. 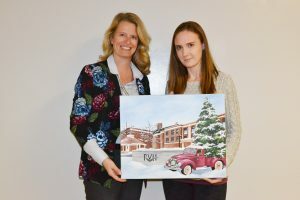 Natalie Stevens (right) received a Bachelor of Fine Arts and teaching degree from the University of Ottawa and has been a visual arts teacher at the secondary level for the last 12 years. For the last seven years Natalie has been teaching the art program in Renfrew at Renfrew Collegiate Institute. Natalie also maintains her own art practice working primarily in acrylic paint exploring a variety of subject matter. She also enjoys pencil sketching, particularly portrait drawing. Natalie lives with her husband and three year old daughter in Foresters Falls.